Interested to learn about nuclear weapons and diplomacy? 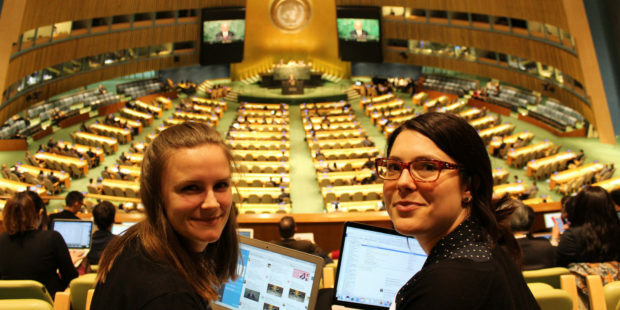 Excited to lobby at an UN conference? Apply for the Nuclear Diplomacy Crash Course, attend an international meeting of the nuclear Non-proliferation Treaty in Geneva and help us create a nuclear weapon free world! What is the Crash Course? The Nuclear Diplomacy Crash Course is a series of trainings to engage in nuclear weapons diplomacy. This competitive program exists of 4 training sessions and participation in a conference in Geneva and a follow-up event organized by you! The Crash Course is a nuclear disarmament education programme for 10-15 selected students organized by PAX. The PAX No Nukes team informs, mobilizes and speaks out for nuclear disarmament. PAX is a driving force behind ICAN, the International Campaign to Abolish Nuclear Weapons, who received this year’s Nobel Peace Prize. Together with ICAN, PAX played a crucial role in the realization of the international Treaty on the Prohibition of Nuclear Weapons, a Treaty supported by 122 countries. The trainings will be provided by speakers from several organizations such as Clingendael, Leiden University, the NRG Petten, the Ministry of Foreign Affairs and PAX. During the Crash Course you will learn about the basics of arms control & non-proliferation, nuclear technology, the Dutch approach to nuclear weapons and lobbying and campaigning at the NPT PrepCom. Before every training you will receive relevant literature. After the trainings in the Netherlands you will travel to Geneva together with the PAX No Nukes Team. During the visit to the Non-Proliferation Treaty Preparatory Committee meeting (NPT PrepCom 2018) you will engage with campaigners and diplomats and put your own diplomatic knowledge into practice. During the Crash Course programme you will be an ambassador for PAX educating and involving others to create a nuclear weapons free world. Afterwards you will also organise an follow-up event about nuclear weapons (for example a debate, pub quiz or a movie night). PAX wants to provide this opportunity to students who support our cause for nuclear disarmament and/or aspire a career in lobbying or campaigning. It can be challenging to enter this field and PAX wants to offer a platform for young and motivated students to learn about nuclear disarmament and to get involved in the diplomacy surrounding nuclear weapons. We are looking for 10 to 15 ambitious (Dutch and/or international) students studying in the Netherlands with an interest in international developments, who are keen to learn about disarmament issues (especially in nuclear disarmament). Fluency in English is necessary both in speech and writing and you need to be available during all workshops in the Netherlands and the entire stay in Geneva. Please contact Selma van Oostwaard and Lidewij Nauta at nauta@paxforpeace.nl if you have any questions. 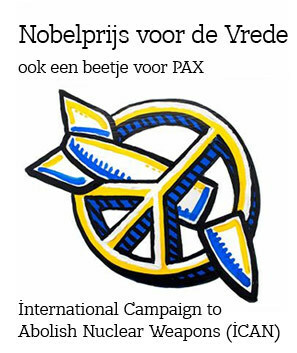 For more information visit www.paxforpeace.nl, www.nonukes.nl and www.icanw.org. Apply for the Crash Course! Do you want to apply for the 2018 Nuclear Diplomacy Crash Course? Upload your motivation letter and resume (in English, both max 1 page, PDF, Doc or Docx file) before February 5th 2018, 23.59 PM (Central Europe Time).